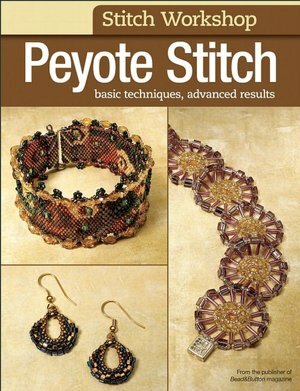 If you've recently learned how to peyote stitch or have been stitching for a while now, this book is for you. Stitch Workshop: Peyote Stitch comes with 27 projects with full color illustrations and step-by-step instructions that will have you creating professional looking pieces in no time.This book takes all the simple basic peyote techniques and combines them to create incredibly intricate projects that even a beginning beader can mimic.The beginning includes mini tutorials on all the basic stitches you will need to use for these projects and other basic stitching techniques. You'll be amazed at the quality of jewelry you'll be producing just by combining the same techniques you've already been using!